I was going to write about the madness that Christmas has become but I think that has been done to death. Instead I am going to spend a few moments thinking about my favourite jumper. A piece of clothing that I am sure my wife would happily get rid of as it is starting to look a little wear worn but that way leads to divorce. Years ago I had another jumper that was well past its sell by date but was always the jumper of choice as the cold weather approached. Eventually it fell to pieces or perhaps I outgrew it! Anyway it went and for years I didn’t have anything to replace it – now I do and I am as happy as anyone can be about a ten year old piece of clothing. What can I say? I’m a man and should any woman read this they are more than likely going to have that look on their face whereby they wonder at the sanity of almost 50% of the population. Any man who has been in a long term relationship with a woman will know that look and if we are honest to ourselves we know we are crazy but there we are – we all have our jumper et al and no amount of of looks will change our mind. So may I wish anyone who reads this a happy Christmas and I hope you are happy with what you get on this feast day. Anyone who has to work on Christmas I know how hard that can be – been there – done that – got the T shirt so whenever you enjoy the feast day I hope it is a good one. One final thought. Christmas is supposed to be about celebrating the birth of the saviour of men and women. Whether you believe this or not I just hope that you try and show some good will to other people – goodness only knows we need that at the moment. 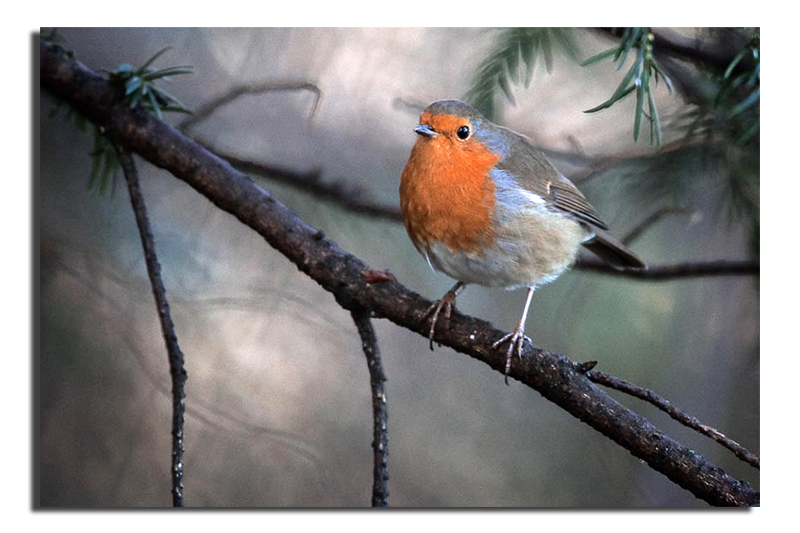 This entry was posted in Photography, Winter and tagged christmas, Jumper, photography, Robin. Bookmark the permalink. 2 Responses to It’s a Christmas thing…. hear hear! from the fella in a nice new (ish) Shetland sweater! And very nice I’m sure it is…despite everything you might have heard!